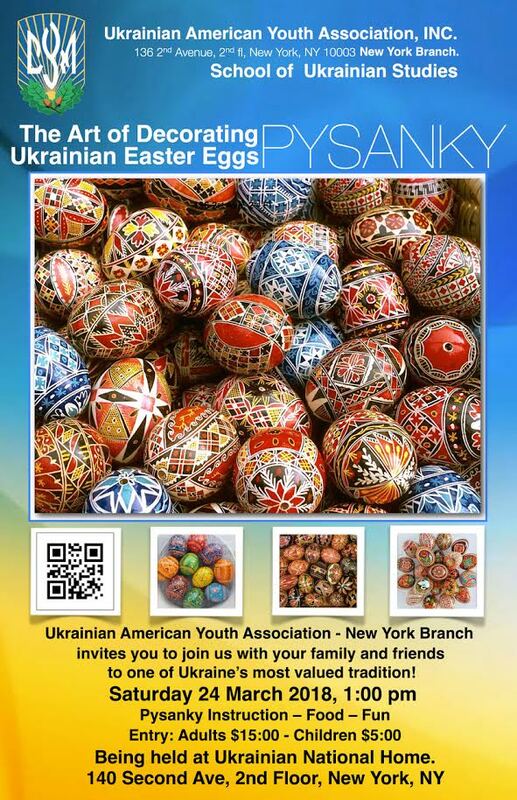 On Saturday afternoon, the Ukrainian Youth Association is hosting a class on learning the art of decorating pysanky – Ukrainian Easter eggs. 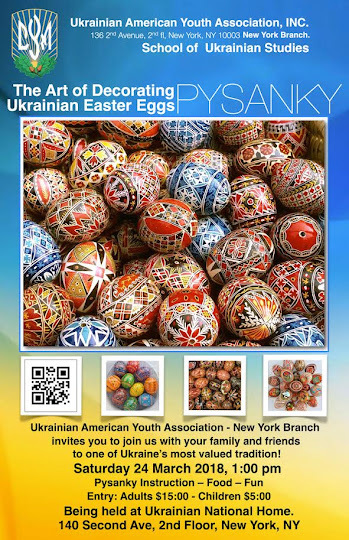 Dyes, beeswax and a stylus are used to decorate the eggs with traditional Ukrainian designs. You can take what you make home with you. The class is at the Ukrainian National Home, 140 Second Ave. between St. Mark's Place and Ninth Street.